The full title of these three volumes is misleading. The project to publish the papers of Sir George Byng (1663-1733) and his fourth son John (1704-1757) was never completed. Brian Tunstall completed three volumes, but the latest document to appear in the third volume was only dated 1717. An intended fourth volume of the papers, mentioned in volume 87 Pattee Byng’s Journal 1950, p. xix, never appeared. Pattee Byng was George Byng’s eldest son. Tunstall, however, had written a monograph published in 1928, entitled Admiral Byng, in which he reproduced some documents relating to the admiral and his court martial. This volume follows the career of Sir George Byng through the middle of the War of the Spanish Succession from his promotion to Admiral of the Blue in January 1708 to November 1709 when he was appointed to the Admiralty Board. As the second most senior active admiral he held commands of major responsibility which proved frustrating for him. By far the larger part of the documents cover 1708 when early in the year he had the task of preventing a French and Jacobite invasion of the British Isles from Dunkirk. His journal and narrative of proceedings show the navigational and weather difficulties of blockading that port and of chasing and catching the French squadron when it got out to Scotland where Byng got close enough to frighten it into running back to port. He spent the summer watching Brest with part of his force acting as a Western Squadron while with the rest he sought unsuccessfully to land troops along the north-western French coast in support or as diversions for Marlborough’s offensive from Flanders. 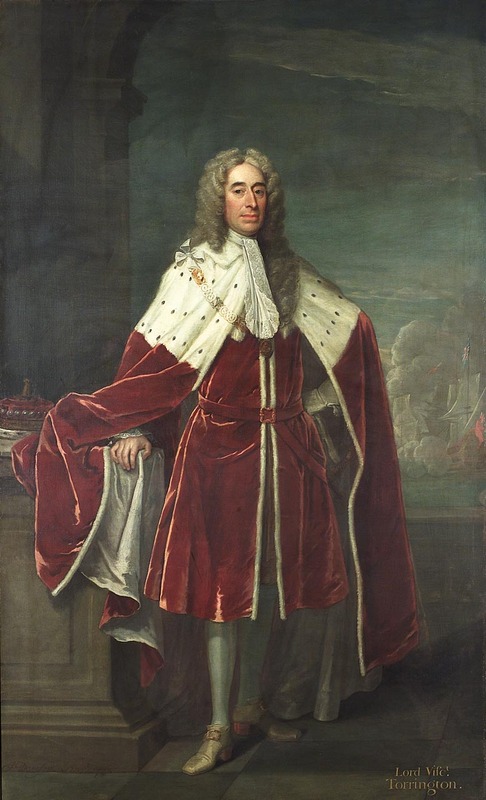 He then took the Queen of Portugal to Lisbon where he succeeded Sir John Leake in command of the Mediterranean fleet and looked to exploit the latter’s capture of Minorca – again unsuccessfully. With the French fleet safe in Toulon and no prospect of major expeditions against the Spanish coast he spent 1709 providing protection and ensuring supplies to sustain the allied occupation of Catalonia.